» Best Indoor Exercise Bikes for 2019 – Recumbent vs Upright Bike? Keiser M3 Plus & Schwinn AC…Best Spin Bikes For Sale Online! Spinning Shoes 2019 – How To Choose The Best Indoor Cycling Shoes! Best Indoor Exercise Bikes for 2019 – Recumbent vs Upright Bike? Recumbent Exercise Bikes vs Upright Exercise Bikes? Whether you choose a full-size Recumbent Bike, or a cheaper compact Upright Bike will depend on your age, fitness level, current weight and most importantly what you hope to achieve with your workouts. We review the 3 main types of indoor exercise bikes including the increasingly popular spinner bike we list the benefits of each bike type complete with recommendations and the pros and cons of each model. Whatever your specific fitness needs our tips will help you find the best indoor bike to suit your lifestyle! One of the most popular exercise bikes for older people is the Recumbent Exercise Bike, it’s popularity is due to the seat and riding position, they are very comfortable, great news if you have a knee or back problem or any health issue that make exercising difficult. Recumbent bikes are specifically designed so you ride in a comfortable stress free position, perfect for rehabilitation of an impact injury or recovery from surgery its large comfortable seat is set in a reclined position reducing pressure on joints and other pain prone areas such as back, shoulders and neck – this feature alone makes it the best exercise bike for seniors or anyone recovering from injuries. Even though recumbent bikes are designed for comfort you still get the same fitness benefits you would gain using any other stationary bike. The benefits you can expect are improvements in leg strength and cardiovascular health with a noticeable boost in your general well being… that can only come from improving your fitness level. Most people who use these bikes tend not to be conditioned to riding bicycles they are ideal for novice riders if you have limited experience with bicycles you will find recumbent bikes the best choice due to the comfortable seat design and handlebar positions allowing a relaxed riding position. When using any stationary bike for the first time non-bike riders often complain about the small seats on exercise bikes – it is a real shock to their system as it can become quite painful, if you are not a regular bike rider riding most indoor bikes for 30 minutes or more would be quite difficult, to begin with, even with a Gel seat cover. A recumbent exercise bike is an exception to this, as they are designed for comfort, you will find them similar to sitting in a comfy chair making them the best bike for non-bike riders and those of you that demand a little more comfort as you workout. They do have a bigger footprint than some Indoor bikes, but will take up less space than a treadmill or stair master … if space is an issue? there are compact recumbent bikes designed for smaller spaces. Compare the Best Recumbent Exercise Bikes on Amazon – Check Today’s Price! 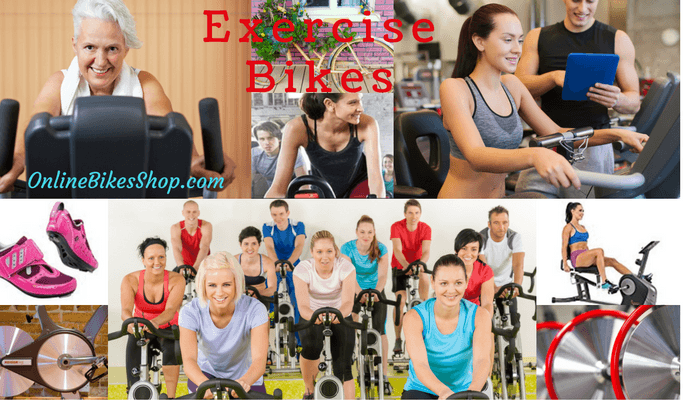 Video – How To Choose The Best Exercise Bike! In my opinion here are 3 significant selling points in favor of upright and folding exercise bikes – they are cheap to buy, light to handle and easy to store when not in use. If you do not have a lot of space in your home or apartment or you move house quite often then a folding or upright bike could be the best bike for you, you can simply fold it up and store it in a cupboard or move it to the side of the room when you are not using it. They are designed to be just as efficient as other types of exercise bikes but they are more suited to small to average weight riders who don’t stand up to pedal, as you would when training on an indoor spin bike. The bonus of these compact bikes is they are so portable you can move them wherever you want to – in front of your TV or outside to your apartment balcony? As I stated above the 3 main reasons people choose this style of stationary bike – they are portable, affordable and easy to use. Upright or Folding bikes are great for getting an indoor workout at your own pace and time schedule. Riding your exercise bike will give similar benefits to running on a treadmill or jogging your favorite trail with less stress on your body. However, some people do find that when riding the more compact upright and folding bikes for longer workouts they can problems maintaining good body posture… this can lead to shoulder and neck pain. To solve this issue a fully adjustable indoor spinning bike is the better choice for power users who cycle for longer more intense training sessions. More and more people are discovering the amazing workout you can gain from indoor cycling either at home or in a group session in a fitness class at the gym, great results are being seen both in fitness and weight loss. 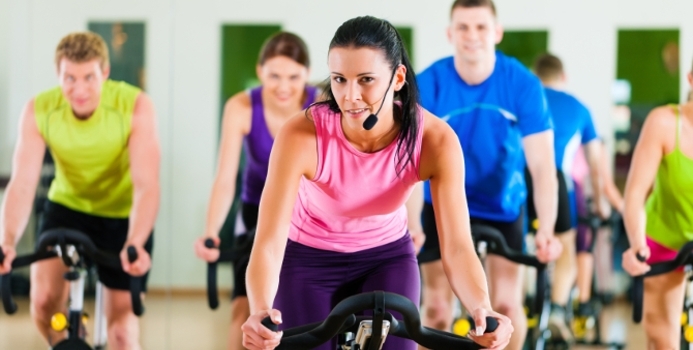 Making indoor cycling very popular and a great all round all weather fitness routine. 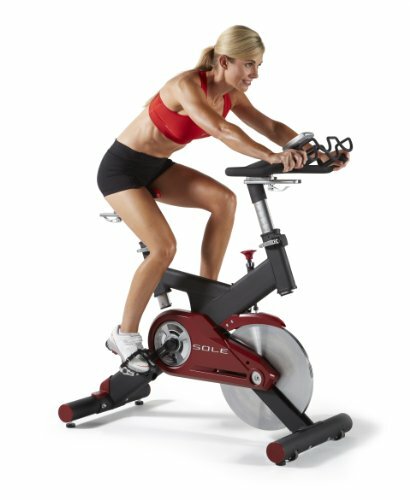 If you are new to spinning at home or are considering using a spin bike at the gym, you will find that they are unequaled in their ability to push you to your limits. This is one of the reasons indoor cycling is so popular – it can be an intense style of exercise that you can do at home alone or in a class spinning will burn an amazing number calories in an intense 30-minute workout, helping you slim down or boost your fitness to a new level. Like all things for sale online, you need to research to find the best deals! 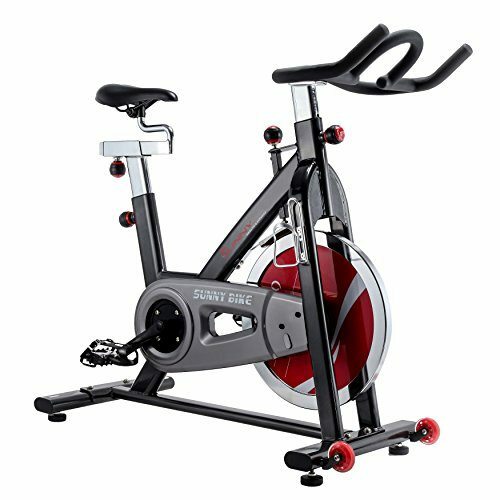 I recommend that you purchase a bike with a flywheel of at least 40 pounds if you want to buy an exercise bike that is close or equal to gym bike quality, to learn the 4 essential requirements when buying an indoor cycling bike. none – I love them… a little biased, I admit, but they just work for me! The reason for the heavy flywheel is it forces or promotes a smoother more natural pedal stroke this is very important for injury prevention and to build the correct muscle groups for cycling the design of indoor cycling bikes was developed specifically to emulate riding a real bike allowing competitive bike riders realistic off-season training indoors. Indoor cycling can really help you slim down, there is no other sit down exercise that will burn calories like a 30 minute session on a indoor bike, once you build your basic bike fitness and start to enjoy riding for longer harder sessions you will sweat like never before and burn fat like never before, 500 calories per hour often quoted as the norm, but up to 900 calories per hour is possible – if you use an indoor bike to its full potential. Also, they are great for anyone that is looking to maintain their bike riding fitness or develop leg strength and bike fitness. Competitive cyclists often see improvements in their times after using indoor bikes for just a few weeks. allowing you to train every day and stay fit all year round then hit the trails fully fit without any lag due to lack of bike time – indoor cycling is a win-win activity. 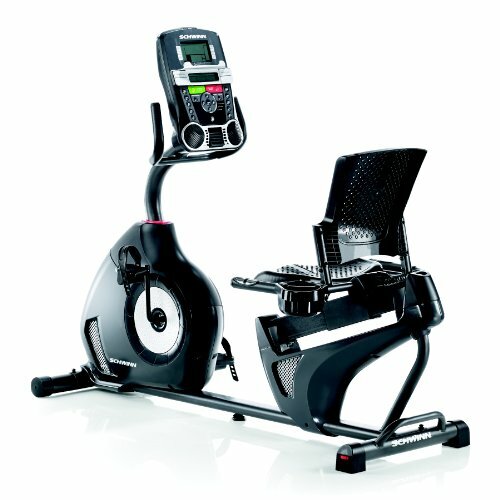 Spin Bike vs Recumbent Exercise Bike? Spinning bikes may not be ideal for everyone, especially if you suffer from recurring back or neck issues, the riding position can put stress on those areas, in this case, you may be better to test ride a recumbent exercise bike and work up to an indoor cycling bike if you feel the need. Spin bikes cost a little more than the average exercise bike… but they are excellent value for your money if your aim is to have fun getting fit or want to burn excess calories – you can’t beat the workout you get from a good quality indoor spin bike! We are all aware that we should exercise more, slick marketers constantly bombard us with the reasons why, as they push the latest and greatest exercise videos or diet plan, their aim is to convince us they hold the key to a healthier you! – it seems all these solutions cost money? But what if you don’t have lots of money or the spare time to implement a rigid exercise schedule? What if you have an injury, or are overweight with zero muscle tone? For some of us, the last thing we need when trying to regain our fitness is to visit a gym full of super fit Lycra junkies. Buy your own stationary exercise bike – you can not beat the versatility of exercise bikes, they are without doubt the easiest way to burn calories and get that much-needed workout, whether you use an indoor cycling bike in the gym or ride your own stationary bike in the privacy of your home or office, the time spent on them is a great investment. Video – Setting Up Your Bike + Important Training Tips! For those of you that do manage to visit the gym on a regular basis – Good for you! If you are using weights – stationary bikes and rowing machines provide the perfect low impact warm up – if you find them too easy and want to work harder and sweat more pump up the volume to a full on, heart thumping, leg numbing workout by joining an indoor cycling class. You will receive several benefits from exercise bikes. The main one for many of you – and then I feel is the most important – is that you control the workout intensity – you can train to suit your fitness, age, and body mass. This is why riding a stationary bike is considered to be a low impact exercise – it is less likely to cause damage to easily strained areas of the body – such as knees, neck or your back. Also, you won’t find a better way to burn 500 + calories an hour, great even if you don’t need to lose weight – if you are currently unfit or do have knee problems or other annoying health issues that make jogging or walking difficult you will benefit both psychically and mentally from the 30-60 minutes spent on an exercise bike – try it you will love it! >Compare the Best Recumbent Exercise Bikes on Amazon – Check Today’s Price! Previous Post Kids Mountain Bikes – Tips On Kids Bike Sizes Next Post Spinning Shoes 2019 – How To Choose The Best Indoor Cycling Shoes! What an excellent guide to choosing exercise bike for a newbie. You have cleared every subject on the format of exercise bikes. Some time people do mistake they were not sure about their choice. They choose the wrong bike and then they feel they are not getting a benefit. But you have made everything clear. Thanks for the post. Keep posting friend!! Feeling happy to know more about exercise bike.It is really very helpful post for any new bike buyer! Many people do not know any of the bikes will be better for them all.Here, each of the bikes have very frank discussions.so that everyone can choose a bike as their demand.